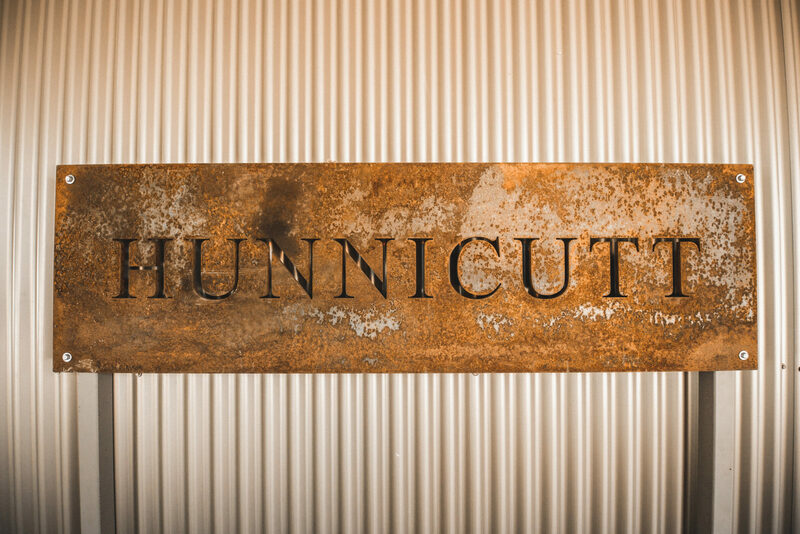 Hunnicutt is my middle name, but it wasn’t until after I released the first HUNNICUTT wines that I learned its true origin. As a young boy I was often teased about this unusual middle name, which bothered me until my father told me about the great General Hunnicutt, a daring and feared presence in America’s Wild West. But years later, when speaking at a dinner to introduce the first vintage of HUNNICUTT wines, my father referenced my grandmother, Nora Hunnicutt, in explaining the origin of the name. When I asked my father about Nora’s relationship to the great “General,” I learned there was no General Hunnicutt, just a tall tale fabricated to boost a young boy’s confidence. General or no general, the Hunnicutt name has now been passed down through another generation to our first daughter, Parker Hunnicutt Stephens. I founded HUNNICUTT in 2002. I’d spent much of my youth in Napa Valley, where part time jobs included working in the vineyards (de-weeding and catching gophers) and scrubbing tanks and assisting with bottlings at wineries of friends. After graduating from U.C. Berkeley I worked in commercial real estate, but realized that wine was of much greater interest and importance to me. I moved to Napa Valley full time to learn the business from the ground up, and for the next several years I juggled night classes in viticulture, enology, and wine marketing with day jobs at wineries in production, sales and management roles. In 2002, as I continued to work and go to school, I made the leap to develop my own brand, HUNNICUTT, enlisting my good friend and noted winemaker Kirk Venge to make the wines. In 2010, my wife Seana joined the winery in a marketing capacity, applying her prior experience in advertising with client brands such as Sprint, 24 Hour Fitness and The North Face to the development of the HUNNICUTT winery and brand. Seana, who was introduced to wine years earlier by her father, brings a personal, high-touch approach to her work; she embodies the warm, fun-loving and gracious spirit we strive to create at our small winery. In addition to our day jobs, we are also the busy parents of three young children, Parker, Preston and Beckett. In 2008 we found a 15-acre site that is now the home of the HUNNICUTT winery. Within a day we put an offer on the property, but it was three and a half years until we were able to crush our first grapes here. In fact it took a year and a half just to dig the 18,000 foot-network of caves. Today, this is where we make all of our HUNNICUTT wines, as well as our sister brand, D. R. Stephens Estate. Our modern yet rustic Tasting Room (decorated with vintage skis and a road bike – testaments to our “off work” pursuits) often serves as the site for entertaining visitors and club members, and the landscaped terrace is where we hold family and club member celebrations. Justin graduated from the University of California at Berkeley with a B. A. in 1998. Soon after, he began work for a commercial real estate firm in the San Francisco Bay Area. After two years of spending almost every weekend with friends in the Napa Valley, helping at their wineries, Justin realized his true passion was the wine business. Not one to waste time daydreaming, he made the decision to take the next logical step. He moved to the Napa Valley and began learning the trade from the ground up. Justin’s first job was working as a ‘cellar rat’ during the 2001 harvest at Miner Family Winery. After Miner, he continued his wine business education taking viticulture and œnology classes and working for several other wineries — including Saddleback Cellars and Seavey Vineyards — in various capacities of production, sales and management. Justin founded HUNNICUTT Wines in 2001 and in 2004 began working for the D. R. Stephens Estate brand – a winery started by his father Don R. Stephens in 1996. Justin is the Managing Partner of Stephens Family Wines, LLC., which now owns both wine brands, as well as Hunnicutt Wine Company, LLC. a company formed in 2008 to develop a custom crush winery in St. Helena. The winery was completed in 2011 and makes wine for 20 other small Napa Valley wine brands. Justin is married to Seana Kendrick Stephens. They are the parents of Parker (June 10, 2008), Preston (June 1, 2010) and Beckett (May 29, 2012). 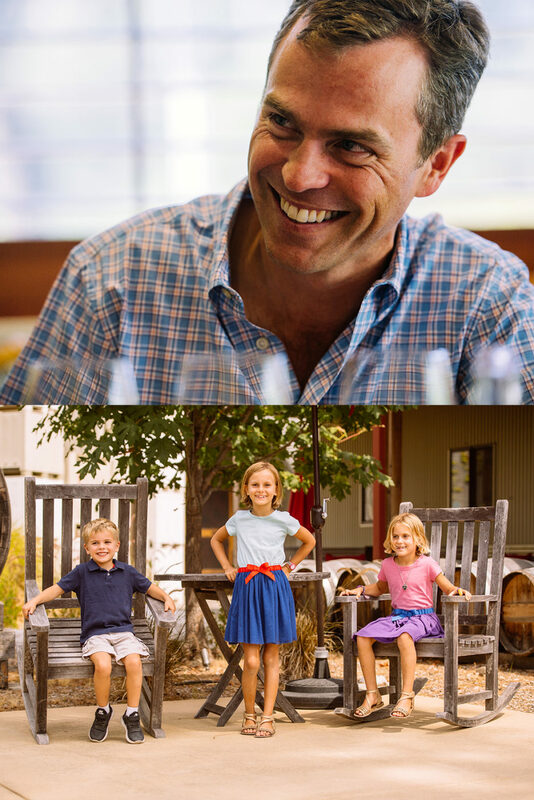 As the primary winemaker at Venge Vineyards, Kirk Venge’s solid foundation and passion for winemaking began at a very young age. He grew up in Rutherford, in the heart of the Napa Valley surrounded by some of the best wines and appellations in the world. His childhood memories are steeped in vineyard farming, winemaking and the fragrance of a wine cellar. Some of Kirk’s earliest memories of the winery were when he was four years old helping his father Nils with basket-pressing Cabernet from the family’s Saddleback Vineyard and manning the pump switch on late night barrel racking projects. A game the two of them would play was for Kirk to smell and guess the varietal of wine in a glass when Nils would pal around amongst his peers. After graduating from St. Helena High School, Kirk ventured off to University of California, Davis to pursue a degree in viticulture and oenology, the study of vineyard management and winemaking. While at Davis, he developed his craft interning with Mumm Napa Valley as experimental winemaker for 5 harvest seasons under the guidance of legendary sparkling winemaker, Gregory Fowler. The experience not only included yeast, malolactic and scion and rootstock trials but the making of premium Carneros Appellation Chardonnay and Pinot Noir table wines as well. After college and his fourth season at Mumm, Kirk spent the 1999 harvest working with Rapaura Vintners in Marlborough, New Zealand on the South Island. He went back to work for one last harvest at Mumm. That November of the same year he left Mumm and decided to work alongside his father in developing a winery for the Venge Family Reserve wines. Two years later, Kirk shared his winemaking hat with a hard hat to supervise the entire restoration and building of Venge Vineyards at the historic Rossini Ranch property. Nine years later in May of 2008, the Venge family sold the winery and property which allowed Kirk to take the label and branch out on his own. Kirk’s talent and skill as a winemaker is reflected in the well-balanced wines of Venge Vineyards. His philosophy of “making wine in the vineyard” is found in every bottle. “Understanding the terroir of a specific vineyard and the hidden potential of that site is imperative to the quality of wine that can be made.” He strives to share ideas with the winery’s growers and work with them to attentively develop the highest quality of fruit that each vineyard can produce. Kirk knows there is no substitute to absolute quality and that the best wines can only come from the best grapes. In addition to his duties as the winemaker for Venge Vineyards, Kirk is the consulting winemaker for; Igneous, Hunnicutt, Macauley Vineyard, Frazier, Bacio Divino, JAX, B Cellars, Trespass, JR Wine and Calistoga Ranch. When she isn’t chasing their two daughters Parker and Preston and a son Beckett; Seana uses her advertising background to help with marketing of the HUNNICUTT brand. Deborah comes to HUNNICUTT WINES with experience in all facets of the wine business. Having moved from the Bay Area to St. Helena at an early age, she had a magical childhood in the Napa Valley, spending much of her free time roaming the vineyards, hills and fields on foot or on her horse. Deborah’s love of the valley drew her back to St. Helena after she earned her B. A. in Psychology from University of California, Berkeley. 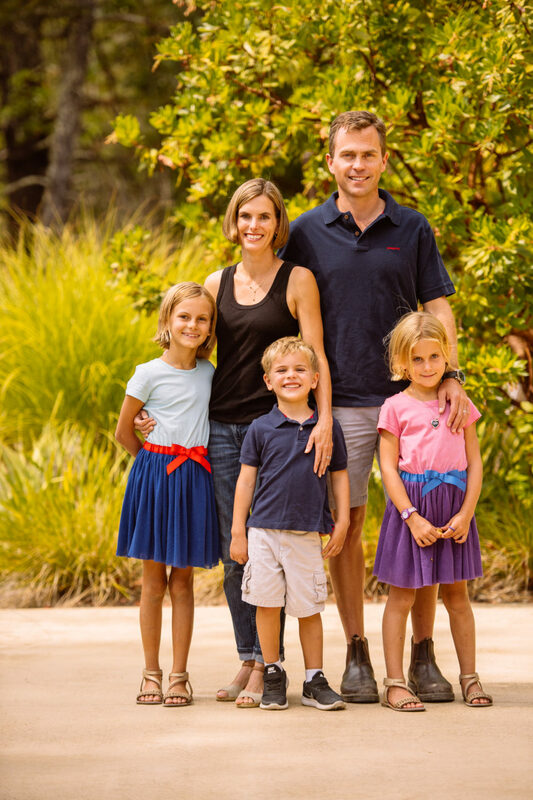 She worked for a psychology clinic in Napa, married her husband of a third-generation Napa Valley family, and then chose to be a full-time Mom to raise her two children. Deborah started her career in the wine industry after her children started school. With over 20 years of know-how, Deborah has focused on the ultra-premium wine market, working with the finest wines from Napa, Sonoma and France. Given her love of the essence of life and nature, she thoroughly enjoys handling the operations of HUNNICUTT. Andrew was born in Baltimore, MD but only stayed on the East Coast long enough to develop a love of blue crab and the Orioles. At age 11, his family moved to Orange County, CA, where he lived and worked until making the leap to Northern CA and the wine business in 2010. Andrew came to his love of wine originally through travel, spending the summer of 2006 wandering across Europe and discovering the joy of simple meals paired with wine. He returned home determined to learn more and quickly realized that he had discovered a lifelong passion. In 2010, he left his job in Southern CA to pursue a career in the wine business and quickly found work during the 2010 harvest at Hook & Ladder Winery. After completing the harvest, he then spent 3 years at Seghesio Family Vineyards, before joining the team at HUNNICUTT as the Hospitality Director. Shaina Harding is the only Jacksonville Jaguars fan in the Napa Valley. She grew up in Florida, but moved to New York at the age of 21 to play music, and by play music I mean check coats, and wait tables. She was lucky enough to be included in the B.R. Guest restaurant groups “Wine College” where she developed a deep love of wine. She later completed her sensory course work at NYU. After meeting her husband who was a California native she moved out west, and took an internship at Domaine Chandon. Late one night in September of 2008 Shaina found herself with copious amounts of must stuck in her hair, dismantling press parts inside of a 23 ton press. That was the moment she knew she would be making wine for the rest of her life. Shaina decided to continue making wine and complete her studies at UC Davis where she earned her degree in Enology & Viticulture. She has had the great fortune of working for some wonderful Napa Valley wineries; Domaine Chandon, Clos Pegase, and Flora Springs, before joining the team at HUNNICUTT in January of 2015. Shaina loves climbing barrels because it makes her feel tall, fork-lifting full bins and barrels because it makes her feel strong, and nurturing all of the wines that age in the HUNNICUTT caves, because it is what makes her the happiest. Charlotte was born in New York City into a clan notorious for its appreciation of wine, food, and art. (Family motto: All ailments in life are cured by a glass—or two—of good red wine) She grew up a bi-coastal kid, travelling between Manhattan and Portland, Oregon, and by the age of ten could converse knowledgeably on the Museum of Modern Art, or team penning. Initially Charlotte pursued a career in the art world. However, while at school in Oregon, working part-time in various restaurants she became increasingly enamored with the Willamette Valley wines she was pouring. Switching gears, she landed an internship at Archery Summit winery in Dundee, and quickly fell in love with the comradery and craftsmanship she encountered in the field of wine production. She did the requisite hopping between harvests in Australia, New Zealand, and Oregon, and in due course set down roots in the Napa Valley. She has been a member of the winemaking staff at HUNNICUTT since 2014. Mike Dillman Escaped from the small town of Etna California at the age of 18. For the next 12 years he worked in the culinary world within California and Ohio. He switched gears to a career in the wine industry after working with Les Behrens & Lisa Drink-Ward as they were starting Behrens and Hitchcock Winery. Mike later moved to the Napa Valley and honed his winery skills at the likes of Robert Sinskey Vineyards, Clos Pegase, and Behren’s & Hitchcock. Mike also traveled to Australia and worked at Dromana Estates harvests 99 and 00. As a skilled tradesmen he was an integral part of helping build both Behrens & Hitchcock, as well as HUNNICUTT Winery when we opened our doors in 2011. He continues to help keep the HUNNICUTT wine cellar functioning as a state of the art custom crush facility. Salvador Garcia was born in Michoacan Mexico surrounded by women. He has 4 sisters and zero brothers. Salvador has been a part of the Napa Valley community since the early 90s. His first job in the wine industry was working in the cellar at Frank Family Vineyards. After working at Frank Family he worked in construction for a few years, and realized he missed winery work. He started working at HUNNICUTT harvest 2012 and has been an important part our team ever since. Alex Hall is the grandson of a world renowned Ice Follies ice clown. He gets his sense of adventure from Grandpa T. After finishing college at the University of Utah Alex embarked on a new adventure! He left Salt Lake City and moved to the Napa Valley for an internship at HUNNICUTT Wines. After his internship he worked for Desert Edge Brewery in Utah. We convinced him to come back for harvest 2017 and has been a valued member of our team ever since.